Drontal cat wormer tablets effectively covers roundworms and tapeworms in cats. With a required dose of one tablet per 4kg or half a tablet per 2kg. Drontal acts controls all intestinal worms in cats. There is thought to be around eight different intestinal roundworms which affect cats, including the roundworm and tapeworm. 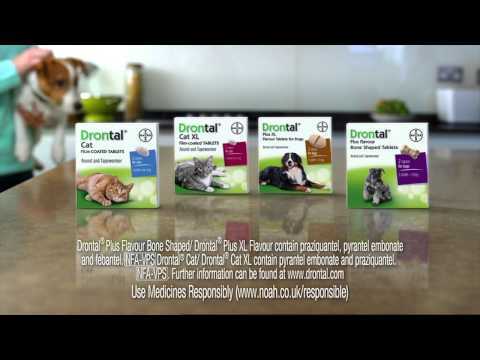 Drontal works with a single dose and can be given to pets with or without food.